At 5.15 metres long, each scull weighs approximately 20 kilograms unrigged. The Edon TS515 is constructed in polyethylene foam sandwiched between two layers of solid polyethylene making it not only virtually indestructible and unsinkable, but also stiff and light. The seat is constructed in fully moulded polyethylene. The seat uses double action wheels on anodised aluminium rails for durability. Aluminium carry handles are incorporated in the well with plastic bow and stern deck handles. A non-slip tread plate is incorporated in the seat well. 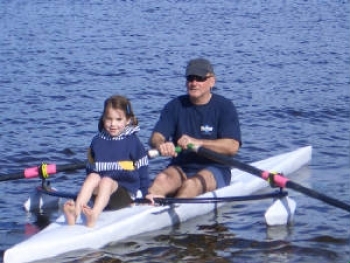 All settings and measurements, like spread and height above water, are identical to those on a standard racing scull. 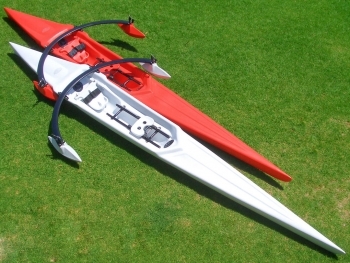 This makes the TS515 perfect for progression to conventional sculls. 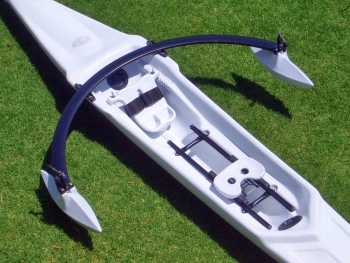 The scull is fitted with a unique wing rigger which utilises standard scull oars. The rigger is easily detachable for transport using the patented quick-release cam system which means that the scull can be rigged and de-rigged in seconds. 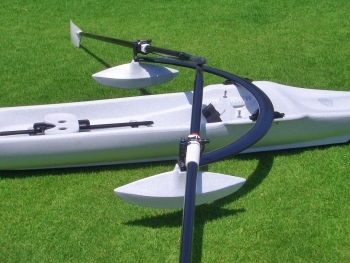 The stabilisers are purpose built for the wing rigger and are hydrodynamically designed to ensure they do not impede the speed of the scull. 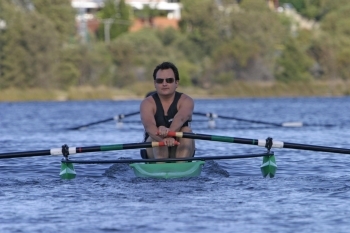 They make it virtually impossible to tip the scull and hence are of great assistance to novices and recreational rowers. They can be easily unbolted from the rigger if required. The design of the stabilisers has been registered. 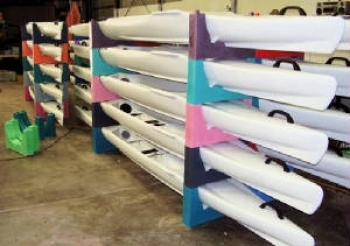 The unique polyethylene stacking system is provided with each scull and allows the TS515 to be easily stacked up to 7 high either rigged or unrigged. This obviates the need for fixed racks and means large numbers can be stored in a small area.